If the officially accessorised Maruti Wagon R with the 'Robust' package isn’t rugged enough, here’s a proper adventure-themed Maruti WagonR X rendered by IAB’s digital manipulator Shoeb R Kalania. 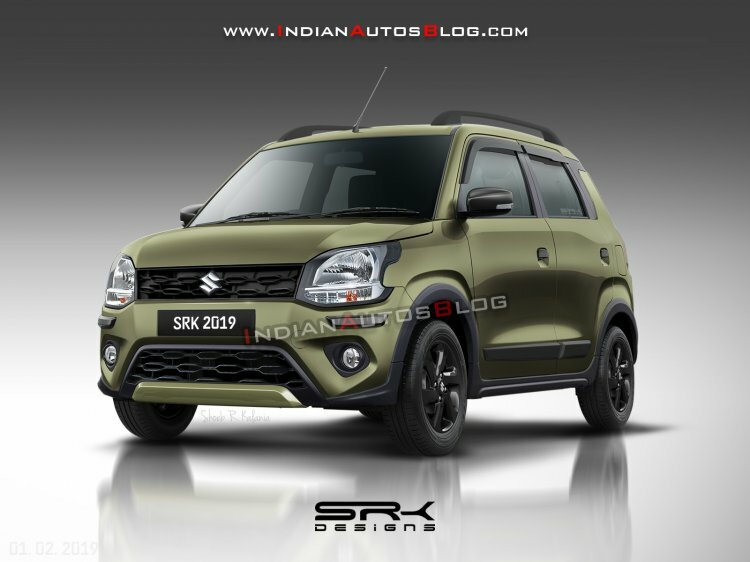 The Maruti WagonR X is a purely speculative model. The previous-gen Wagon R was presented in the 'XRest' guise at the Auto Expo 2014, but then never made it to dealer showrooms. The Maruti WagonR X is coated in an exclusive green colour. The lower grille, mirror caps, door handles, bumper corner protector and alloy wheels are in contrasting black, some featuring a gloss finish. The rendered car features black body cladding, side moulding and roof rails as well. The lower grille and alloy wheel design come from the Maruti CelerioX. Maruti Suzuki offers a wide range of accessories for the 2019 WagonR, and we don’t see an X variant coming out at all. The rendering is purely speculative. The 2019 Maruti WagonR is the third generation of the tall boy hatchback. Underpinned by the Heartect platform, the all-new model measures 3,655 mm in length, 1,620 mm in width and 1,675 mm in height. It has a 2,435 mm wheelbase. Two engine options are available: K10B 1.0-litre three-cylinder petrol and K12M 1.2-litre four-cylinder petrol. The 1.0-litre petrol engine produces 50 kW (67.98 PS) at 5,500 rpm and 90 Nm of torque at 3,500 rpm. The 1.2-litre petrol engine develops 61 kW (82.94 PS) at 6,000 rpm and 113 Nm of torque at 4,200 rpm. Both engines are coupled to a 5-speed manual transmission or a 5-speed automated manual transmission. The fuel economy rating (ARAI) is 22.5 km/l (1.0L)/21.5 km/l (1.2L). 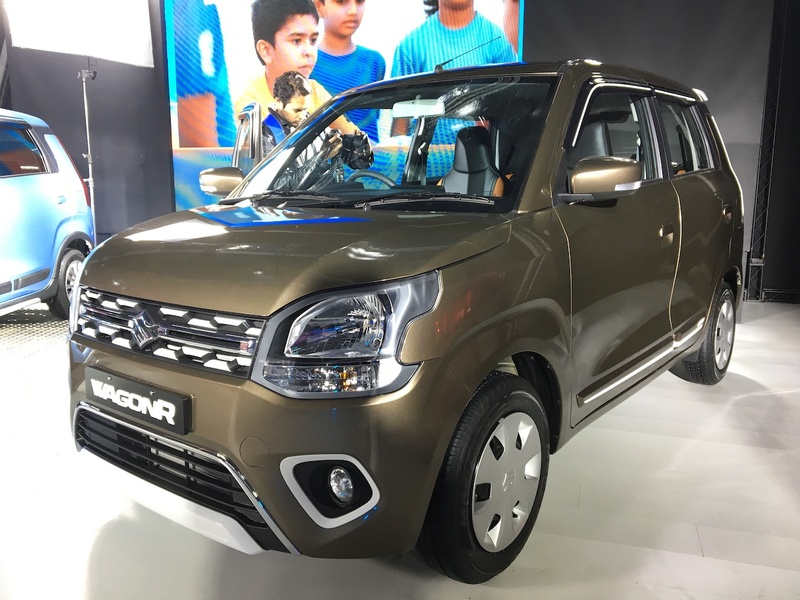 Maruti Suzuki offers three different styling packages for the 2019 WagonR : Robust, Playtime and Casa. Electrically retractable ORVMs, 60:40 split rear seats, steering-mounted audio controls, 7-inch touchscreen infotainment system with Apple CarPlay and Android Auto and dual-tone interior colour scheme are some of the key features of the “Big New WagonR”. Prices start at INR 4.19 lakh (ex-showroom Delhi).